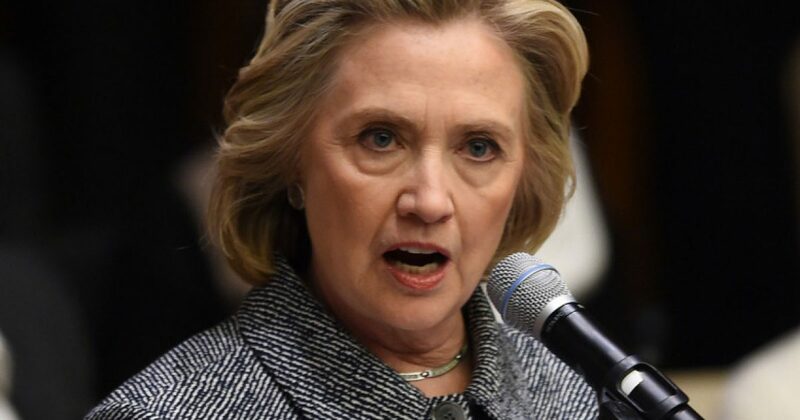 If Hillary Clinton is allowed to practice law again, that may be a bigger travesty than the idea of her being president. Isn’t there a law against elitist assholes practicing law? And what about those soon-to-be convicted of the crime of treason? Despite all we know about crooked Hillary Clinton, the state of Arkansas has granted her back her law credentials. Only a short 17 years ago the state ended her ability to practice law. I’m sure they made this decision as a matter of public safety. Given that Clinton prided herself on representing rapists and sleeping next to one for quite some time. March 14, 2002, Arkansas Judiciary suspended Hillary’s license. It was first granted back in 1973. Which means she spent nearly 30 years as a crooked lawyer before taking the stage as the most corrupt politician in modern history. Now, whistleblower and Clinton insisder speculates Hillary might seek office as Attorney General if liberals win in 2020. Nichols echoed the sentiments of Mike “Thomas Paine” Moore who floated that Hilary was looking at the Attorney General job last week on CrowdSource, the Truth’s weekly Patreon show. Moore and Nichols first offered the possibility. It was unknown at the time that Clinton’s law license had been restored in Arkansas literally hours earlier. However, scandal after scandal cloud Clinton’s time at the Rose Law Firm. For those who don’t really remember the Clinton Presidency, or perhaps try to block it out, Hillary came under fire for some shady investments. Of course that’s just the beginning. It gets much worse. Also in 1978, Bill and Hillary formed the Whitewater Development Corporation with James and Susan McDougal, intending to buy up 230 acres of riverfront land and sell it as lots for vacation homes. Jim McDougal, a real estate entrepreneur, was an old friend of Bill’s and cut the Clintons into a deal where they wouldn’t pay any upfront investment — but could still stand to profit from the home sales. The land was purchased for $203,000, and paid for by a $180,000 loan on which the Clintons and McDougals were jointly liable, plus a second loan McDougal took out for the down payment. The Whitewater project was a failure. The location was bad; the land wasn’t even accessible after the frequent heavy storms that caused the river to flood. And amidst the stagflation of the late ’70s and early ’80s, interest rates were surging, rendering vacation homes unaffordable for many families. Investing in a bad land deal isn’t a crime. What Jim McDougal did after the initial deal, however, was. He bought a small savings and loan association, renamed it Madison Guaranty, and defrauded both it and the small-business investment firm Capital Management Services to the tune of $3 million; the bank’s failure wound up costing the federal government around $73 million. Yet, Hillary Clinton paints Trump as one with scandalous business dealings. Go figure. Before the dust settled, David Hale, Capital Management Services’ former president, outed the Clintons for their part in the conspiracy. In fact, Clinton pushed Hale to issue a fraudulent $300,000 loan to Susan McDougal. Then, the money was used to shore up Whitewater. The rest of the money somehow ended up in Bill’s gubernatorial campaign. At that doesn’t even touch the ‘suicide’ of White House deputy counsel Vince Foster. Sadly, his isn’t the only death linked to Crooked Hillary. Somehow suicides, tragic fires, and accidental deaths randomly happen in her circle quite often. And Whitewater was only the beginning of the Cllinton scandal legacy. Yet, the State or Arkansas decided it’s time to let the old dirt bag back at it. So far, it seems she’ll go it alone this time, as Bill didn’t receive the same reinstatement. Bill Clinton’s law license was suspended for five years in 2001 as an agreed settlement of disciplinary action over his misleading testimony about Monica Lewinsky in depositions taken in a lawsuit against him by Paula Jones. He has not sought reinstatement, yet. I’m sure he’d like to stay in the background with the #MeToo movement looming.